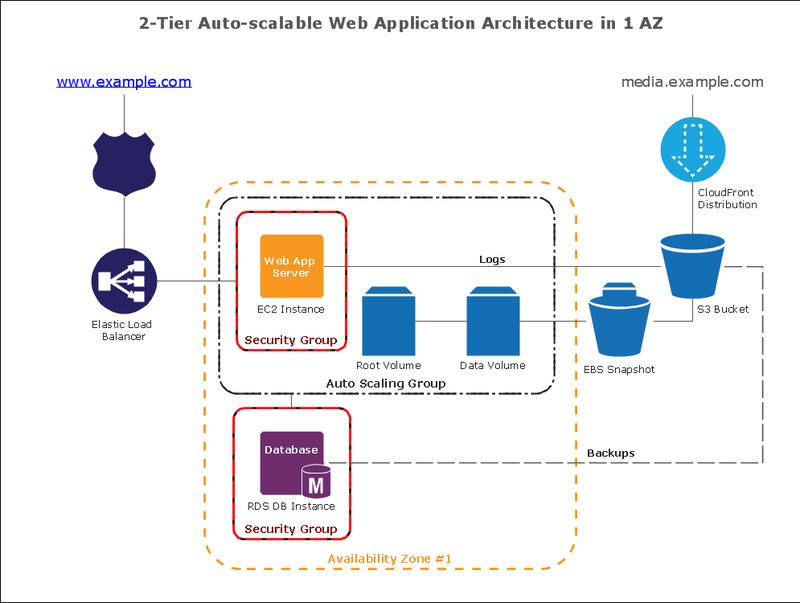 This diagram was created in ConceptDraw DIAGRAM using the Amazon Web Services Architecture Diagram library from the AWS Architecture Diagrams solution. This sample diagram using the AWS - Amazon Web Services Architecture Diagrams Solution shows the type of icons and graphics you can use to illustrate your network architecture - these are universally recognized icons for this popular resource. Our solution helps make designing communication networks efficicent and easy to digest. ConceptDraw Solution Park includes AWS architecture solution for creating Web Application Architectures.